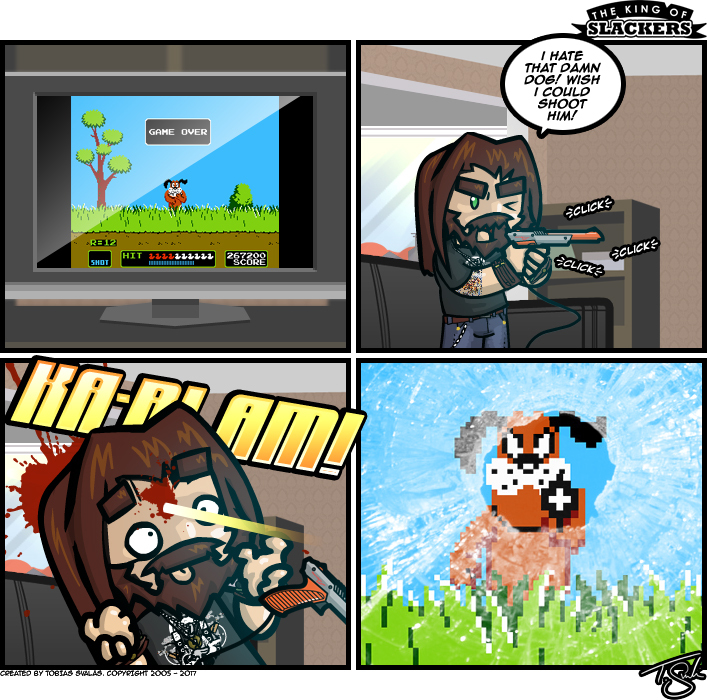 Everyone loved Duck Hunt when I was a kid. And I mean EVERYONE! Even my dad, who NEVER played videogames liked to play it every now and again. But I’m pretty sure that everyone also tried shooting that damn dog every now and again when you missed the ducks. But who knows? Maybe that feeling was mutual? Have you ever thought that the dog just as well wanted to shoot you back? That’s how I got the idea for this comic Also it’s fun to come up with comic strips for classic NES games.